We had a fun time at our Yuri’s Night party! It was an evening of entertainment, networking, and socializing, held in conjunction with the Space Access Conference at the InnPlace Hotel Phoenix North. 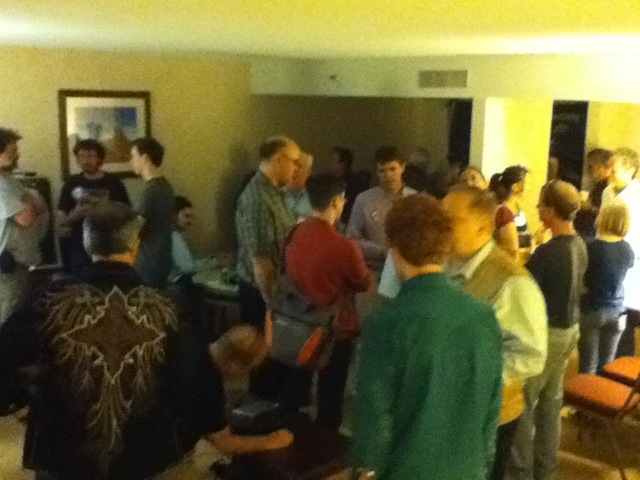 The Phoenix AIAA sponsored a hotel suite and we hosted a very fine party which drew many local NSS, Moon Society, and AIAA members as well as Space Access attendees. Not to mention the Lindenwood College volleyball team. The trivia contest was a blast and we gave out a lot of goodies and posters and other neat space stuff.